The woes of the Oregon Zoo continue to mount, as word broke that an elephant named Tusko tested positive for a strain of bacterium that causes tuberculosis. If diagnosed, Tusko would join two other bull elephants at the zoo that were diagnosed with TB last year. The recent trunk culture taken from the 44-year-old male Asian elephant indicated the presence of mycobacterium. But a follow-up test showed that Tusko hadn't produced the antibodies that indicate TB, according to The Oregonian. TB, an aggressive respiratory disease, can prove fatal for elephants if not treated. 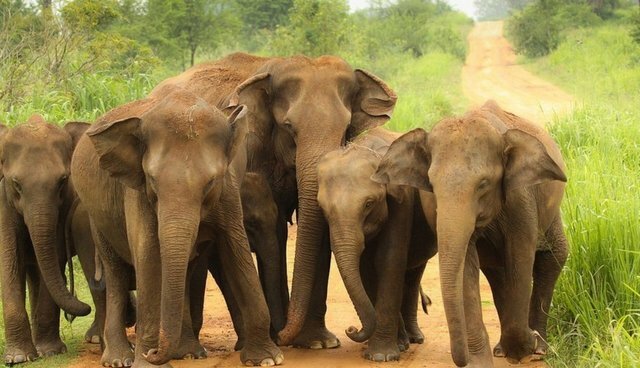 Tuberculosis is commonly seen in captive Asian elephants in zoos and circuses, often spread from humans to elephants and then among other elephants. It should be noted, however, that this is a problem specific to elephants living in captivity (the first reported fatal case of a wild African elephant with TB was in 2013, and the elephant had had previous contact with humans). If the elephants weren't held in zoos, there is little chance they would have caught the disease. It's been a bad year for the zoo -- the death of an orangutan named Kutai was attributed to "human error" by zoo staff in an incident that provoked fierce backlash. And just last week, six cotton-top tamarins died shortly after arriving at the zoo. You can read more about the Oregon Zoo here.